English poet; flourished about 1260 at Norwich. One long elegiac poem and fifteen smaller ones by him are found in a Vatican manuscript, from which they were published by A. Berliner (London, 1887). It is possible that Meïr was a son of Elias Levesque (Jacobs and Wolf, "Bibl. Anglo-Jud." No. 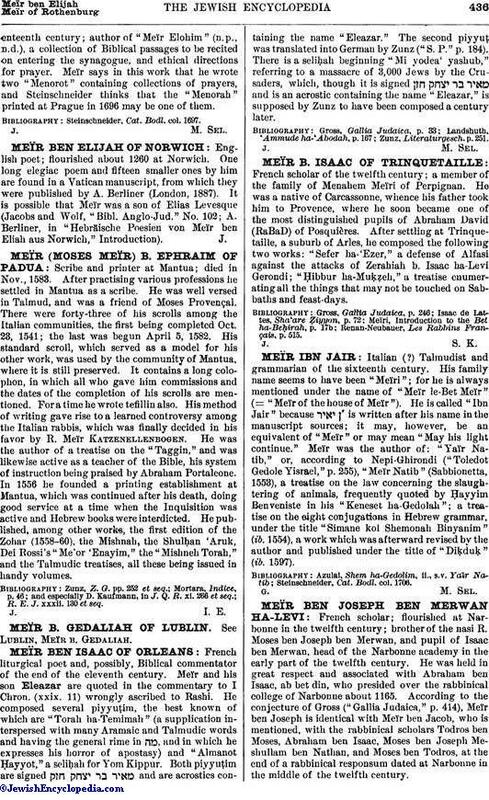 102; A. Berliner, in "Hebräische Poesien von Meïr ben Eliah aus Norwich," Introduction).